An Urban Soundscape Competition is being held for the Sapporo International Art Festival 2014 (SIAF 2014). As the guest director for SIAF 2014, Ryuichi will review and choose the winning submission. The submission period begins Sat. Feb. 1st - Mon. Mar 31st. Ryuichi Sakamoto and Taylor Deupree will be performing Thursday February 20th, 2014 at St. John at Hackney church as part of the St. John Sessions. "Isolation, solitude, contemplation. 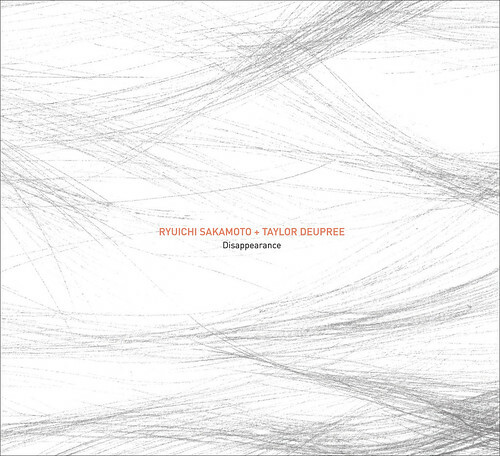 These are the themes that discreetly weave their way through Disappearance, the first collaboration album between 12k's Taylor Deupree and pioneering electronic composer and pianist Ryuichi Sakamoto. The initial tracks for Disappearance were recorded at Sakamoto's studio in New York City during rehearsals for the April concert. The two immediately entered the same sonic mindframe that lead to hours of concentrated, hushed music. Sakamoto's piano playing, both traditional and prepared, emerged as perhaps some of his most beautifully sparse in recent years, letting the sound of the room and shuffle of chairs take an active roll in the recording. Only the most minimum of essential notes, accentuated by silences and the scraping of the piano’s strings, plays alongside Deupree's nuanced passages, created with analogue synthesizers, strings, and found objects. These warm, human tones became the means of communication between the two artists who effortlessly created a musical language. Disappearance is a soundtrack for holding breaths. Sakamoto and Deupree lay down worn roads, but don’t leave signs, for a journey woven together by the quiet celebration of the fragility of nature and life."